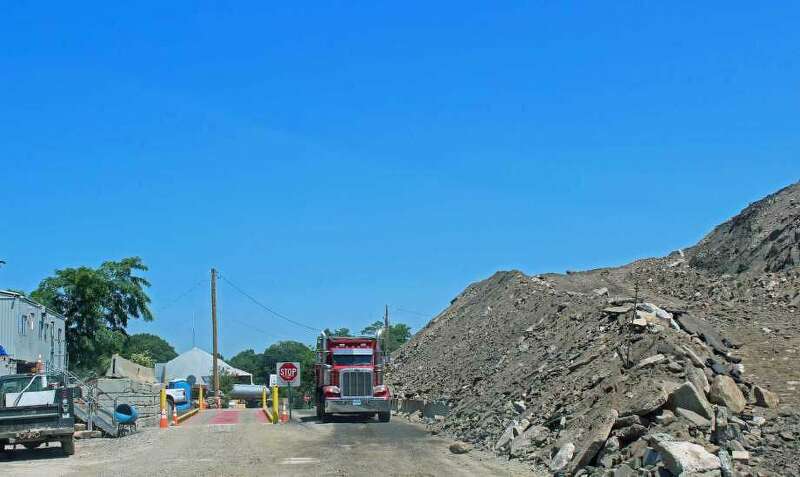 FAIRFIELD — Following a round of meetings and updates regarding the ongoing fill pile lawsuit with Julian Enterprises, some selectmen are pushing for the arbitration hearing scheduled for next month to be open to the public. Bateson’s comments come in the wake of the Jan. 8 Board of Finance meeting where Stanton Lesser, the town attorney, updated the selectmen on the status, a meeting that at times turned contentious. Fellow Republican Selectman Chris Tymniak agreed, arguing a public arbitration hearing would help ensure transparency and openness. The ongoing litigation between the town and Julian Enterprises spans back to May 2017. The town sued the company for breach of contract, claiming the company had violated its agreement to reduce a fill pile on Richard White Way from 2013 to 2016. The company countersued the town for defamation. According to court documents filed Nov. 15, the town and Julian both withdrew their lawsuits against each other to enter into binding arbitration, a hearing which is scheduled to take place at Cohen and Wolf law offices in Bridgeport on Feb. 13-15. Lesser has said the option to settle the case is always present until the arbitrator makes a decision, a decision that could be made by the Board of Selectmen. Certain Board of Finance members also called for the arbitration hearing — or its conclusion — be made public. Tetreau said he would write an email to the town counsel informing them about the selectmen’s request following the Jan. 16 meeting. Bateson emphasized he didn’t want the legal team to come back in February to discuss the request, but rather that they be prepared to inform the board about a resolution or arrangement to accommodate their request. A special Board of Selectmen meeting was scheduled for Jan. 23 with one item — an executive session with the town attorney regarding the fill pile lawsuit.